Exam season has begun and forms and exam dates are being announced. 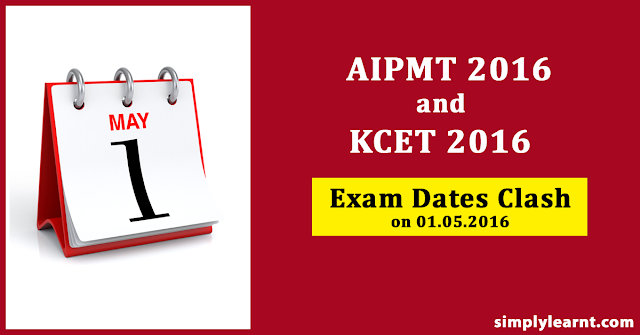 In a shocking announcement the date for KCET 2016 and AIPMT 2016 are clashing on May 1, 2016. For students who want to give the medical entrance exams for admissions in Karnataka this will be a big challenge. They may have to choose between the two exams. Let us know what you feel about this!